NEW DELHI, JANUARY 24: National Institute of Technology Manipur administration has again landed in a soup with the Union Ministry of Human Resource Development (MHRD) seeking Central Bureau of Investigation (CBI) investigation in the alleged financial irregularities and wasteful expenditure case. The investigation is being sought with the construction work of permanent campus overshooting its deadline and approved an allocation of Rs 250 crore. 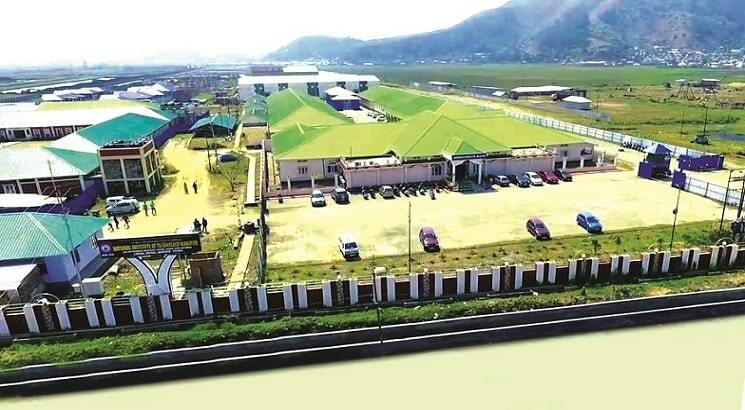 NIT in Manipur was approved in 2010 and the construction for permanent campus began in 2011. NIT Manipur sent a revised proposal to the Ministry in May last year demanding more funds. In the beginning of January this year, the Anti-Corruption Bureau of the CBI also submitted its charge sheets against two officials of the Institute for allegedly possessing disproportionate assets against their known source of income. The two officials under investigation are Assistant Registrar and Senior Assistant in the cash section, as per the charge sheet two officials received wrongful gains from the institution to the extent of several lakhs between 2013 and 2016. Earlier in 2016, the CBI also conducted the raid at the residence of Deputy Registrar, Laikangbam Doren Singh for financial irregularities and wrongful appointments in the institute. The recent MHRD action is based on the recommendation of a Project Monitoring Unit (PMU) sent to the construction site, which recommended an audit of expenses incurred on the creation of facilities on the site.